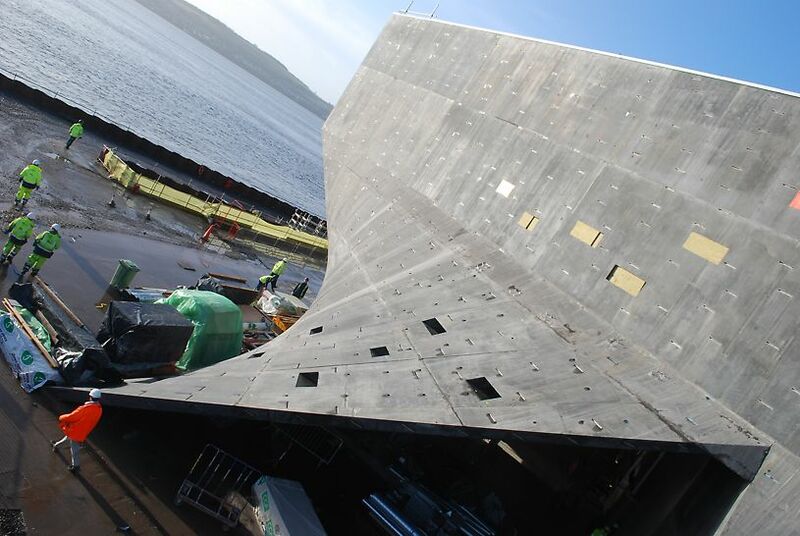 Purpose: Positioned at the centre of Dundee’s £1bn waterfront regeneration, the V&A Museum of Design will showcase the best of Scotland’s design heritage. This £80.11 million masterpiece, the first UK work penned by renowned Japanese architect Kengo Kuma, combines complex concrete architecture with glass facades and linear concrete cladding. 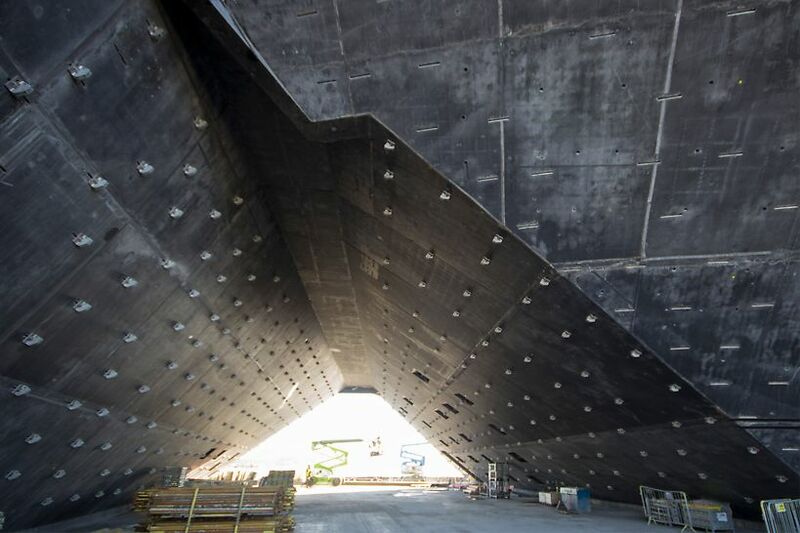 The structure’s elaborate curves and unique angular walls required a bespoke formwork solution. 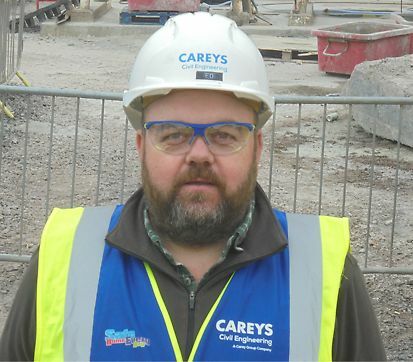 A sequenced delivery with Careys was required to ensure formwork was only on site when needed. "Sequencing between Carey’s and PERI was critical in order to maintain a typical delivery of five bespoke carcasses every working day for 60 weeks." 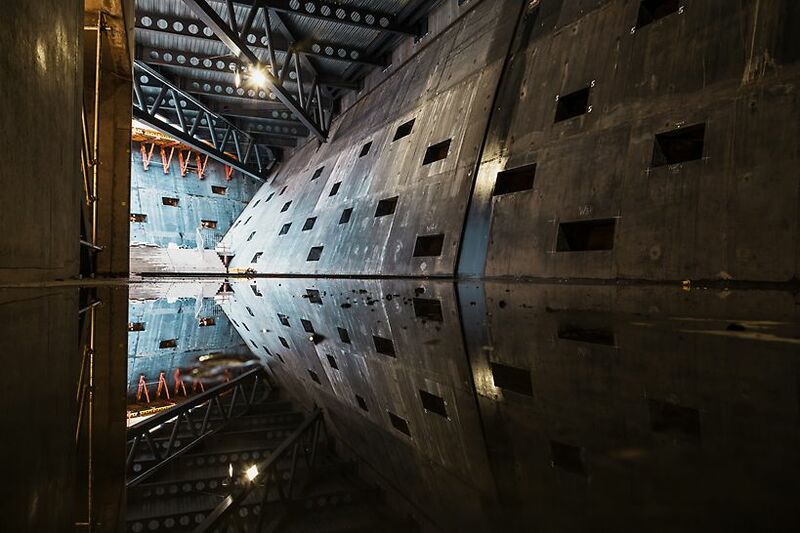 Two project managers were assigned to manage the fabrication and technical requirements. To accommodate for the geometry of the structure, VARIO panels and VARIOKIT rafters provided a standard 2500 mm wide unit with variable depth and height, tailor-made to render the structure’s elaborate twists and turns. VARIO provided the flexibility to create 1277 bespoke shutters, each one crafted with skill and patience to meet the exact requirements of the design. To minimise costs and erection time where possible, TRIO formwork was also employed to construct linear walls. Shoring support could only be removed once the roof was installed, thus the support had to be suitable for the elevation and inclination of the wall, as well as being able to withstand the concrete once it had cured. 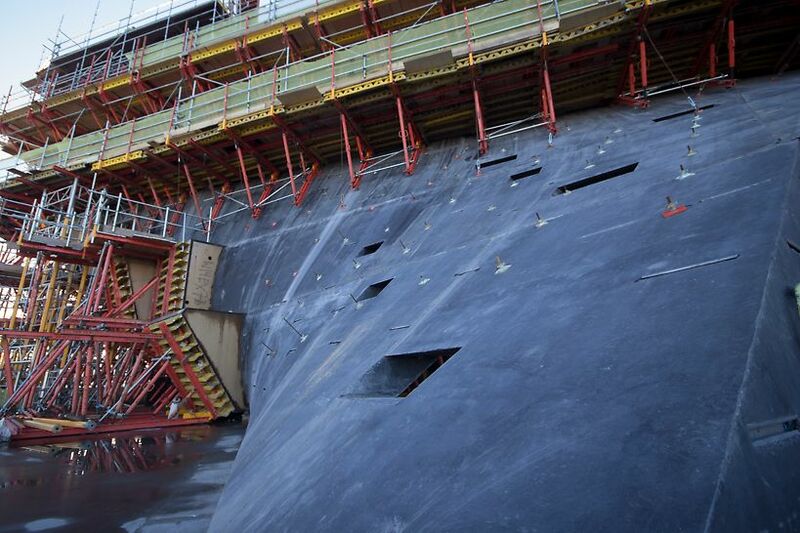 Over 5,000 SLS spindles were used in addition to MULTIPROP to sustain the weight of the walls. PERI UP shoring was also used, and was the ideal scaffold support for the wall formwork. 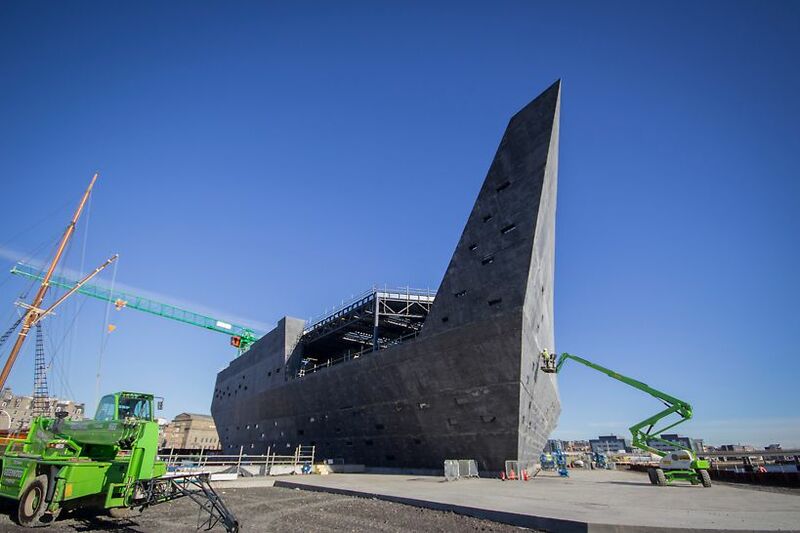 Strong, lightweight and flexible, it provided site workers with a safe and stable platform from which formwork could be installed and accessed. The shoring system offered an incremental height adjustability of 250 mm, which facilitated the variation of concrete pours spanning the building. Working in collaboration with Careys, deliveries were planned in advance so formwork was only on site when needed. Optimising site space in this way meant the amount of equipment on site was kept to a minimum, which was a major benefit when considering the vast amount of resources already present on the ground.